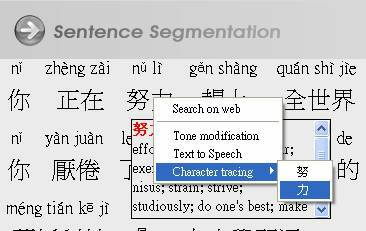 In the Sentence Segmentation area, right click on a word or phrase, select Character tracing. 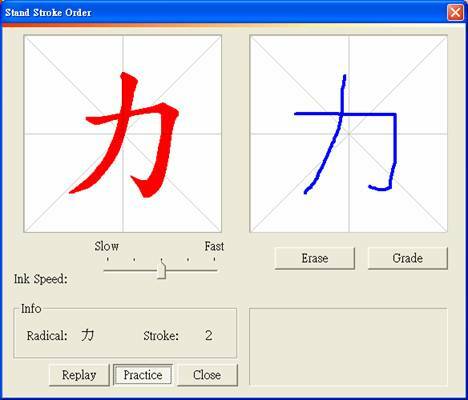 Select a word, the Stand Stroke Order window will appear to show the stroke order of the word. Click Practice button to open the Practice window. Write the word via the writing pad. Click Grade button, the system will show the grade. You can click Erase button to clean the Practice window and practice again.